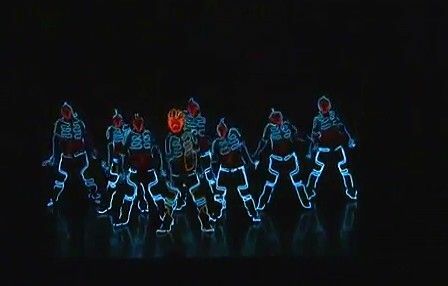 This high energy, visually striking show combines cutting edge technology with world class street dance for a truly unique, high impact performance. This is corporate entertainment that your guests will never forget! 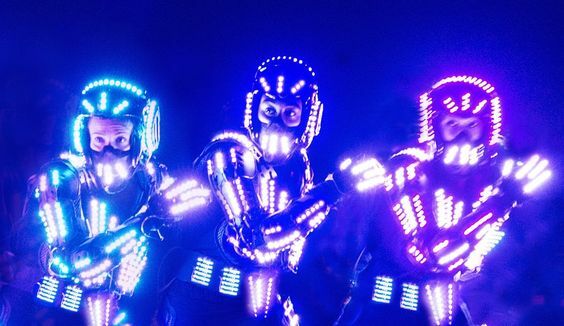 The dancers wear the new creation, the LED suit, designed and developed in house by the same team who brought you the costumes and props for the MUSE and Katy Perry tours. These dancers will wow audiences at corporate events and private parties. 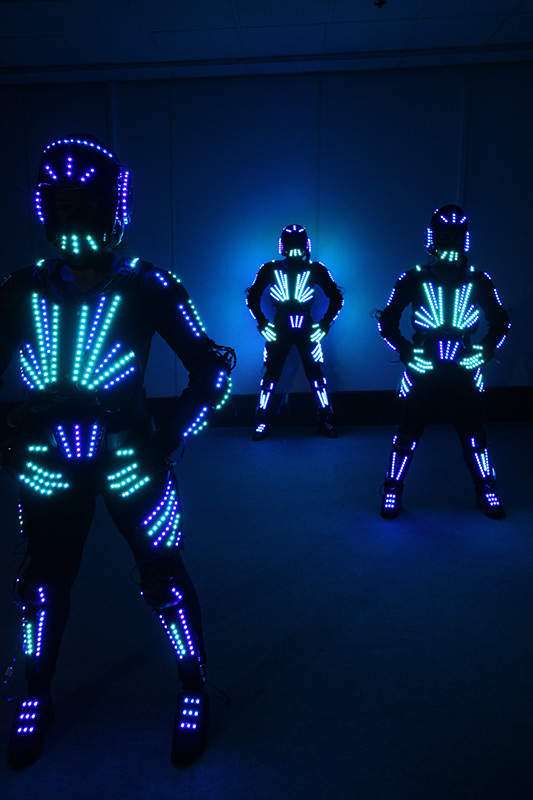 Controlled via a wireless DMX controller, each suit has approximately one thousand colour changing LEDs programmed using video mapping software to change perfectly in time to music at an accuracy of eight frames per second. 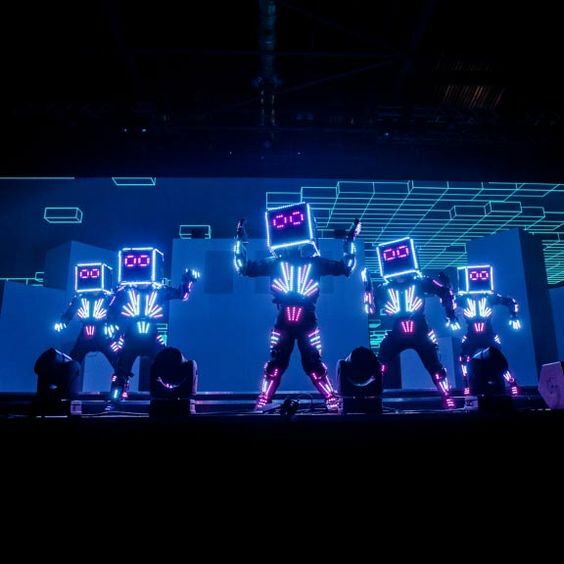 By combining this technology with the fast, precise choreography of some of Europe’s best street dancers, we can create the illusion of the performers multiplying, disappearing, floating and growing limbs in front of the audience’s eyes. This, along with infectious energy of the dancers, makes for a visually stunning, dramatic, energetic and fun show that will captivate and surprise all audiences. Suits can be programmed for different music at client’s request.